OneWave is a non-profit organisation which raises awareness about mental health and offers surfing programs for people experiencing mental health issues. The "one wave is all it takes" approach came out of Grant Trebilco's personal experience with the way in which surfing and salt water helped him overcome the challenges of bipolar disorder. 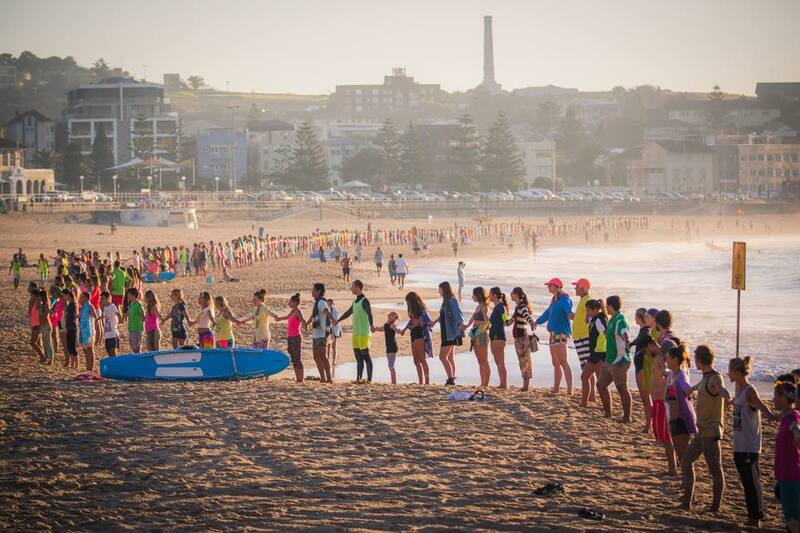 Grant started Fluro Fridays at Bondi Beach, a weekly gathering of surfers in unlikely fluro outfits, in order to raise awareness and create a supportive community for those suffering from mental health challenges. The concept has since spread and is now taking place weekly at multiple beaches in Australia and abroad. In 2015 OneWave developed and piloted the OneWave Surfing Experience, a free twelve week program which uses a combination of surfing (aka saltwater therapy), cognitive behavioural therapy, group support and mentoring to assist people experiencing mental health issues. Vasudhara provided funding to support the development of the OneWave Surfing Experience beyond the pilot stage, by enabling four more free programs to be run during 2015-2016. We have also provided strategic support with budgeting, organisational set up and the development of the program into a service which can be offered to mental health organisations. Additionally, by timing our funding with their crowdfunding campaign, we helped to tip the campaign over the 50% mark which added momentum to the fundraising. The campaign ended up reaching $55,536.